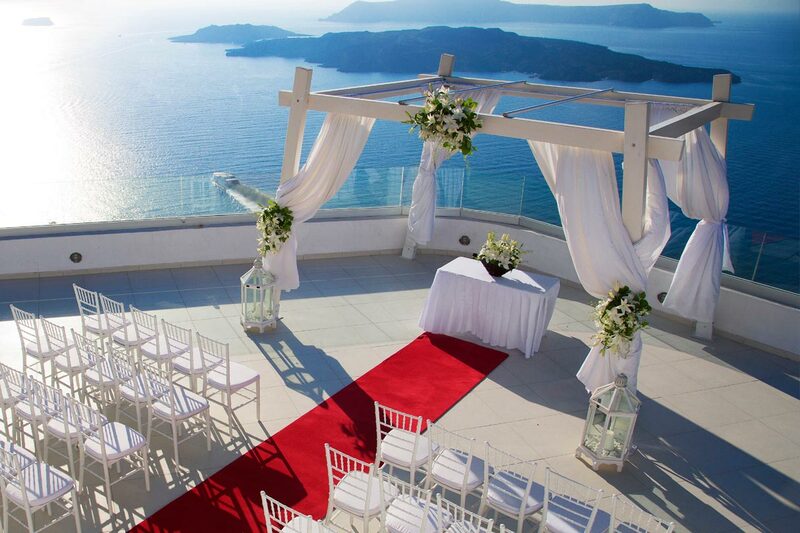 In the centre of the island and set high on the hillside is the islands most popular wedding location - Santo Winery. 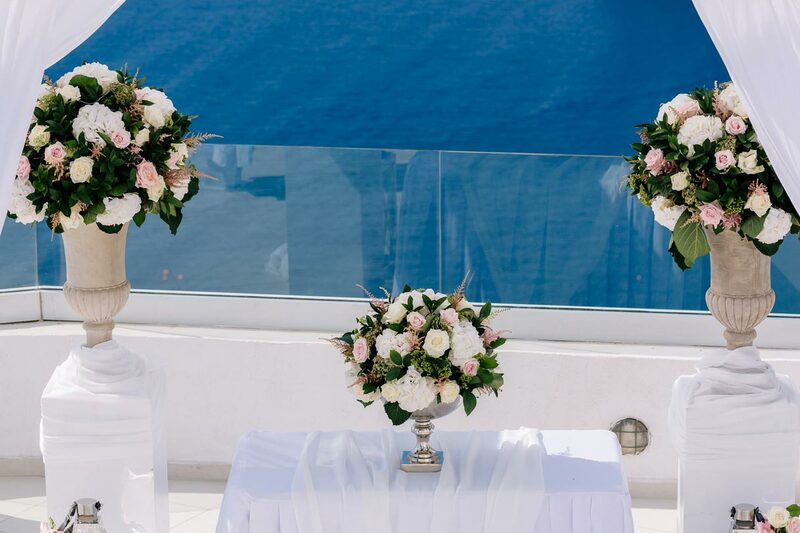 Here you will find a choice of civil wedding terraces where you can exchange your vows with the most stunning views behind you. 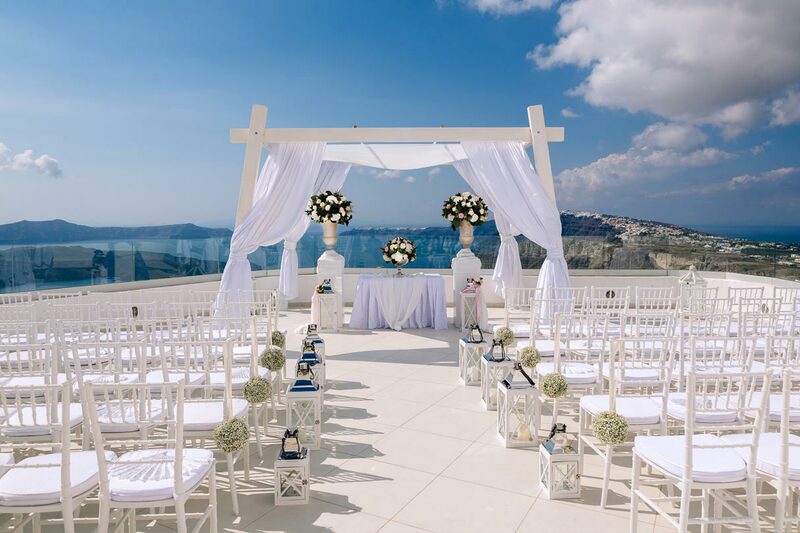 With a slight breeze stirring the air and the breathtaking panorama, this is a delightful open-air wedding venue. 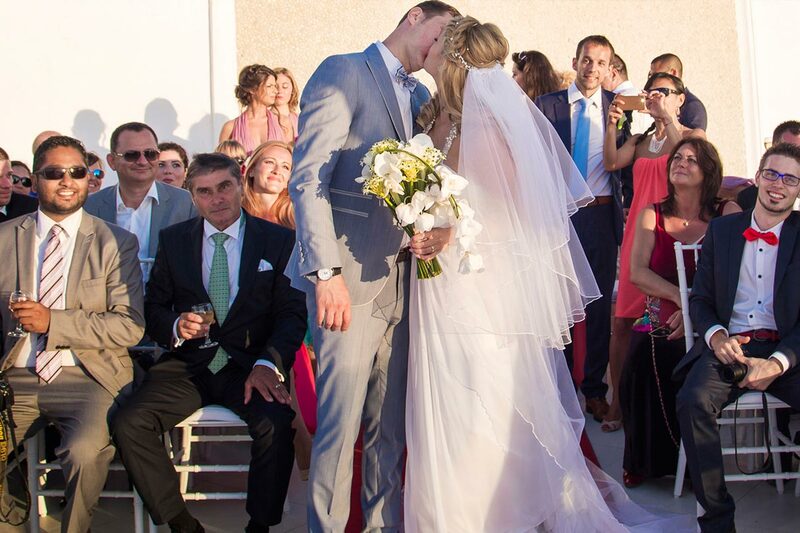 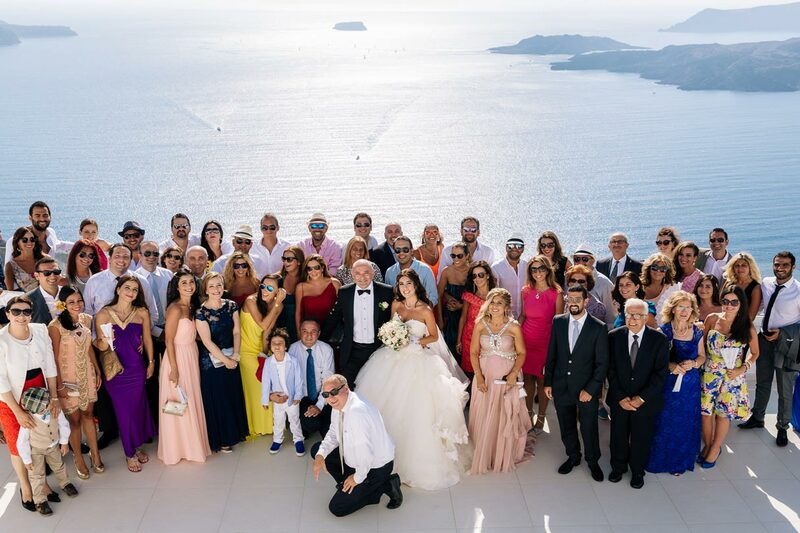 After the ceremony why not arrange your wedding reception to take place in a nearby taverna. 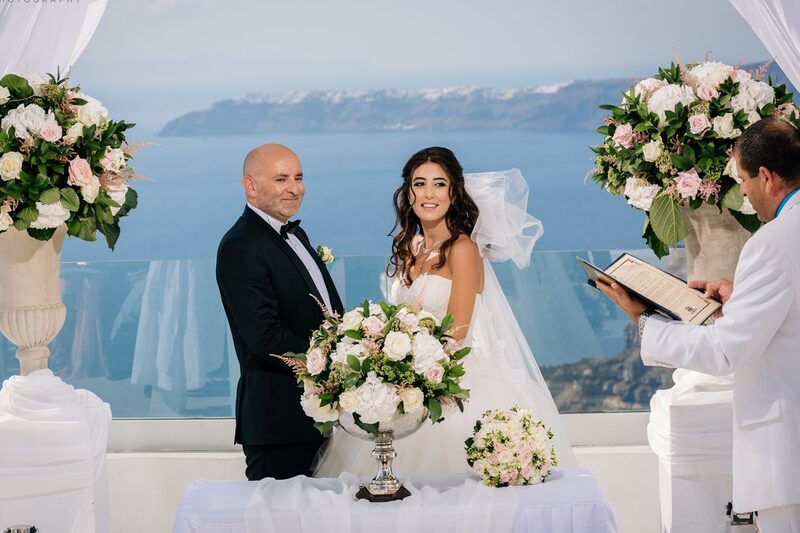 The venue is located in Pyrgos village area with one of the most spectacular and breathtaking view over the caldera and the volcano and the traditional villages of Fira and Oia. 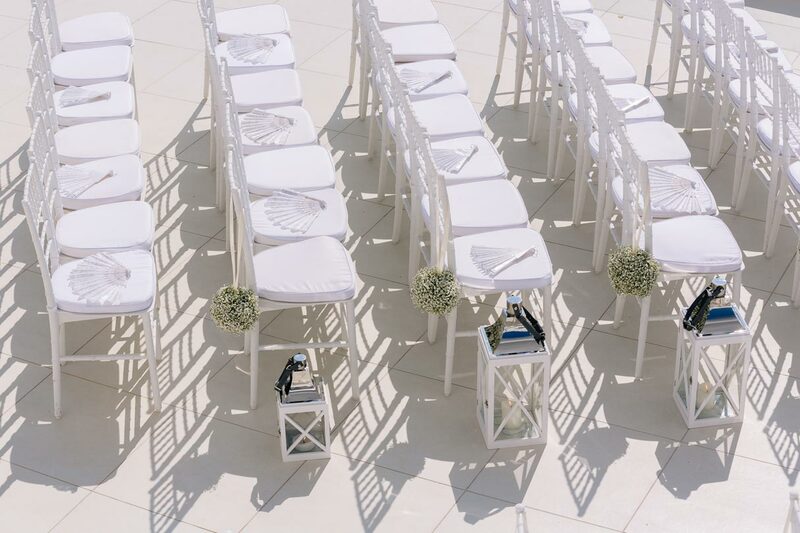 A magical location, especially as the sun sets. 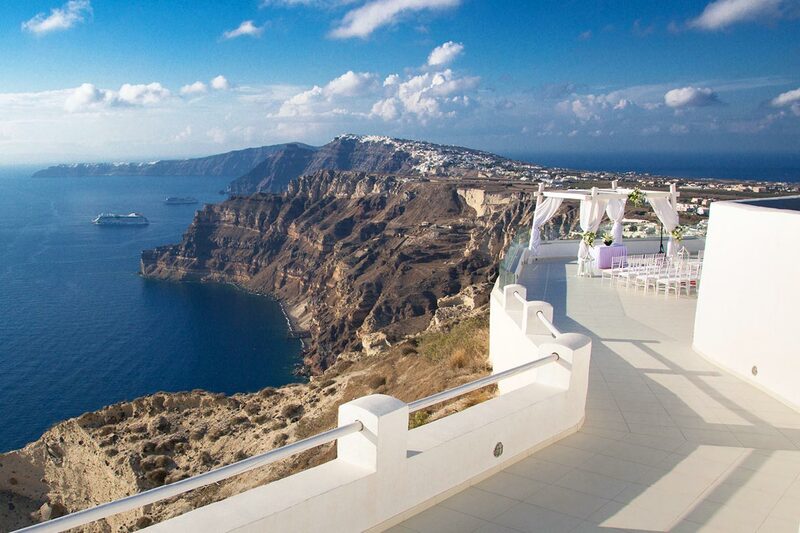 Santorini really is the dream location for those picture perfect photographs and this venue is no exception - Offering spectacular views of the Caldera.